Kingdom of Saudi Arabia, 27, July 2016 – JLL, the world's leading real estate investment and advisory firm, today has released its Q2 2016 Riyadh and Jeddah Real Estate Overview reports assessing the latest trends in the office, residential, retail and hotel sectors. 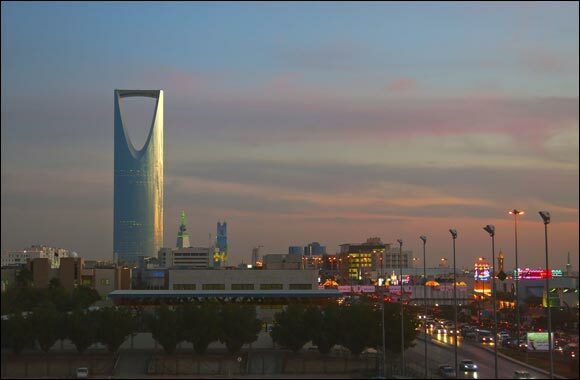 With Saudi Vision 2030 pivotal to the diversification and restructuring of the economy in lieu of decreasing oil prices, this report highlights that both Riyadh and Jeddah continue to maintain an overall slowdown in performance. “In Riyadh, the office market observed a marginal decrease in rental values in Q2 2016 and will continue to see downward pressure as new stock enters the market, especially in the King Abdullah Financial District (KAFD) and the Information Technology and Communications Compound (ITCC). Meanwhile in Jeddah, project completions managed to stabilize the office performance rates in Q2. Office: Saudi Vision 2030 is encouraging economic diversification by allowing foreign companies to enter and invest in the Kingdom. Such encouragement will help increase the demand for office space as foreign investors show interest in the Saudi market. However, this change is expected to require time as companies setup their strategy to enter the Saudi market. Also, the demand for office space from these companies is not expected to be significantly large until the economy stabilizes and new rules and regulations are set in place. Residential: The Ministry of Housing has started implementing the first project to construct 7,000 villas in collaboration with the private sector on a 6.5 million square meters land in the eastern part of Riyadh. East Gate, the project name, will consist of villas and has a total land size of 316 square meters with a built-up area of 250 square meters. The villas will however be differentiated by internal and external designs depending on the buyer’s financial capability. Each villa will cost around SAR 640,000 and can be borrowed from the Real Estate Development Fund. Retail: Demand for neighborhood centers is still strong. Vacancy rates within plazas remain low due to its attractiveness for food & beverage, convenience and anchor tenants, especially supermarkets. Demand, from the aforementioned categories, remains strong as most tenants are still looking to expand to new locations within the capital. The newly introduced regulations associated to foreign ownership have made the Kingdom appealing to retailers, especially with the strong pipeline for quality super regional malls. Riyadh is expected to be a hub for world class super regional malls developed by the top regional shopping centers developers attracting international retailers. Hotels: More than 8,000 keys could potentially be handed to the market by the end of 2018. However, substantial delays in delivery are expected as the materialization rate of hotel developments have been relatively low in the past. These delays will soften the impact of new entrants, and decrease the pressure on occupancy and daily rates exerted by new hotels. Office: Saudi Vision 2030 was announced in April focusing on economic diversification and attracting foreign investment. This should increase demand for office space in Jeddah over the long run, which has traditionally relied on the construction and government sectors for demand. Residential: Increasing the Loan-to-Value Ratio (LVR) from 70% to 85% has yet to spur demand for residential sales as sale prices have continued to fall and demand remains soft. Data from the Ministry of Justice shows a decrease of almost 9% in the number of residential transactions year to May. Retail: The Council of Ministers approved the relaxation of foreign ownership controls from 75% to 100% of retail businesses in June. This announcement is in line with the Saudi 2030 Vision to increase foreign investment in the Kingdom. The first license, was issued under the new regulations in June to Dow Chemicals. Easier entry should encourage more international retailers to enter the market, which will assist in absorbing the upcoming supply. Hotels: A significant amount of new supply has opened over the past 18 months, attracted by the strong performance of the Jeddah market. Most of these new entrants are concentrated in the 5 star category; increasing competition in the upscale segment where product differentiation will become an increasingly crucial success factor.